In real summer weather the older cars gathered at Shelsley Walsh for their assault on a hill which as a competition venue is older than Brooklands. Indeed, the terrain has changed very little since and it is still the same old Shelsley Walsh of the Leslie Wilson days, even to it being almost impossible to park anywhere but in the big field that serves as a public car-park, no matter how impressive the credentials one has been provided with. Nostalgia on this warm sunny day was all the more evident because of the many older Shersley Walsh personalities present. Raymond Mays, who was being televised, arrived in a new Rover 3500. 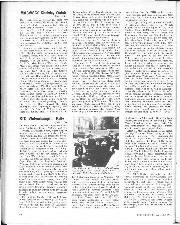 Whitney Straight, Von der Becke, Rupert Instone, C. A. N. May, Rodney Walkerley, Donald Monro and others were present, and a farm worker told nte he had been at every meeting since 1929. Then the Riley Register had a special enclosure, full of assorted vintage and p.v.t. Rileys, at the top of the car-park, to commemorate the 50th anniversary of the Riley Nine, although I dispute their story that a Monaco saloon appeared at this venue as early as 1926. 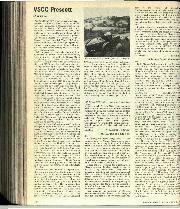 But, as VSCC Secretary Peter Hull said over the PA, this controversy had at least earned the meeting more column inches in Motor Sport than if we had just plainly announced it! 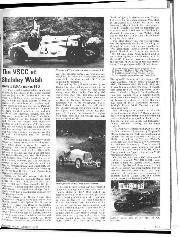 There were also many of the right kind of sprint cars competing—Wasp, Salome, the BHD, the Hardy Special, the Becke Powerplus, the Lightweight Special, and, especially, the Vauxhall Villiers, Curiously, there was but one ERA, Williamson's R10B. It was taken off the historic starting-line in fine style, smoke pouring from its back tyres. In fact, Wasp, with a price of £3,000 on its tail, didn't run, apparently due tb dog-selector maladjustments. The hill course car was an MG 18/80 Mk. 1 with body from a Tigress Mk. 3, of which Mays expressed approval, after a ride in it, and later Rivers-Fletcher took him up the hill in an Alvis Speed 25, his own Speed 25 being temperamental, with ignition short-circuits. This was a meeting free from accidents or incidents. The small sports-car class was won by Jones' 1930/36 1 1/2litre Riley in 54.3 sec., Stephenson's Frazer Nash being second, but much slower, Golder's Riley Sprite third. The meeting was sponsored by Newton Motor Oils and Forward Lubricants; they not only provided the aforesaid course-car but Newton competed with his Meadows-HRG. 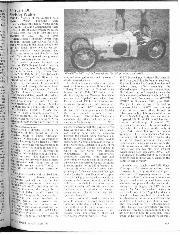 Spollon's 4.3 Alvis took the big sports-car class in 42.8 sec., which he clocked on both runs, commendable consistency. This was 2.98 sec. quicker than the second-place man, Rainey in the 1937 Alfa Romeo 8C 2600, which sports a ventilated facia. Miss Rainey won on handicap in this car and Conway, Senr. 's Type 43 Bugatti was placed third on time. 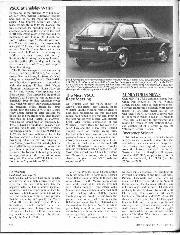 Sellers ran his Citroen, which produced from a commentator the, aside that most cars have r.w.d. but Citroen 'avant . . . In the class for racing cars up to 1 1/2-litres Dowson and the Lightweight triumphed, with an impressive 39.41 sec. Gray was second in the Hardy Special with 39.78 sec. Third place was gained by Williamson's ERA, with an ascent which occupied 40.94 sec. If you count the handicap, Malyan's ex-Martyr GN, now Meadows-powered, also scored. Mrs. Giles only got one run out of Salome but was quicker than the BHD, which became temperamental and shed a plug lead from one huge "pot", fortunately before it was launched up the hill. The bigger racing cars promised fireworks. A determined Ron Footitt in the AC-GN Cognac clocked an exciting 38.59 sec., which Hodges' blown BMW-engined Atlanta was unable to beat, being 0.31 sec. slower. But litres count, they say, and Guy Smith in the 3,520 c.c. 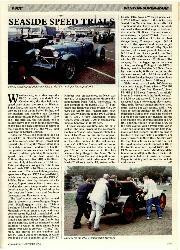 Alvis-propelled Frazer Nash polished them both off with a best run of 38.33 sec., a new vintage class-record. FTD however was the preserve of Cottam, who made a very smooth run in the Historic Racing Car class, to clock 35.89 sec., although the Connaught was not quite up to its record-form. It was good to see the Vauxhall Villiers twice getting to the top of the hill— it has started on four consecutive occasions, I am told, thus breaking its one-time non-runner reputation. Not that it didn't try— the carburetters flooded on the start-line before it could be persuaded to behave, to give Anthony Brooke a jerky, power-on/ power-off ride. Wicksteed's Alvis racer had been put in the Edwardian class to bolster up the entries and naturally cleaned it, in 49.2 sec. But Neve's 1914 TT Humber, going as rapidly as such cars did on the loose-surfaced Shelsley of 1914, won on handicap; it was also driven to and from the hill. After which, modern projectiles obscured themselves in rubber-smoke on meteoric take-offs that made the old cars look as if they had been ascending with their brakes on—what a pity they have to mix 'em, at this essentially VSCC meeting. For otherwise the MAC's historic venue would not seem to have changed all that much in 71 years.—W.B.